Turning all my training into climbing interval timer routines has been one of the best things I’ve done to simplify the process and increase the likelihood of getting something done. There are some great timer apps available, but for shareability it is pretty hard to top the Seconds Pro app. I’m a massive fan and have been using it for over a year now. For the few dollars it costs, it is well worth the purchase (I get nothing for this recommendation btw). The good news is that even if you are a struggling student, on a tight budget, or just don’t want to part with the cash, you don’t have to. All of the timer routines on Climbing meta are available to use via the interval timer site and can be run directly from the web link. 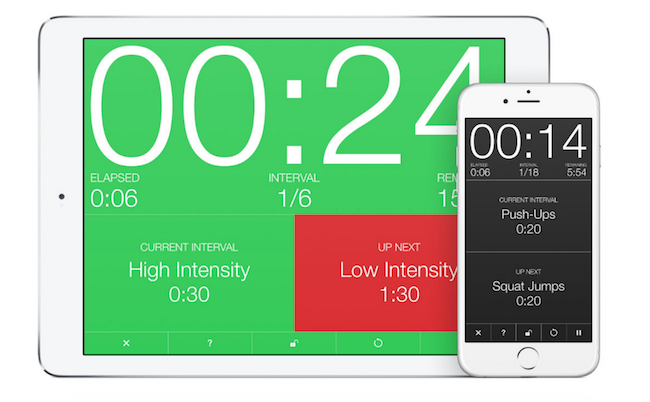 There is also a free version of the app for iPhone and Android, but only the pro version will let you save the climbing interval timers to your device so you can take them with you wherever you go. If you use the app, you also get the added benefit of text-to-speech, which often provides helpful (if slightly annoying) encouragement when your body is failing towards the end of a set. I could go on and duplicate a bunch of information about how to use the interval timer, but that would be a massive waste of time. There are good instructions available in the Seconds pro user manual and the interface is pretty user-friendly (although it does take a little getting used to if you want to make changes or program your own timer). Now go smash out a routine and smile!